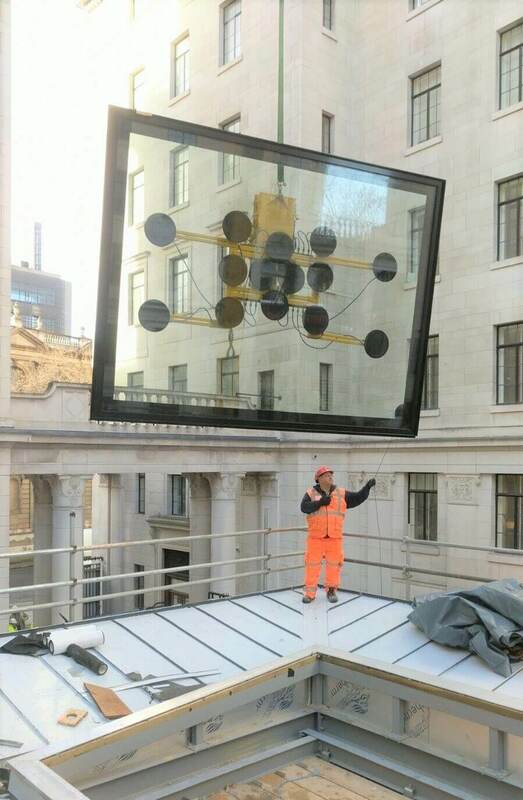 Vacuum & Crane glazing in London..
We have recently been involved in a project that involved lifting and installing extremely large glass units at one of our many London Based projects.. Vacuum and Crane have recently been involved in a prestigious project based in Central London, at Kings College for one of our loyal and valued customers. The work included carrying out a full Contract Lift with a Mobile Crane. The AC35L Mobile crane was appointed to lift several glass units weighing 986kg each. The underground car park was jacked, therefore the mobile crane had a specific area to rig on oversized mats. 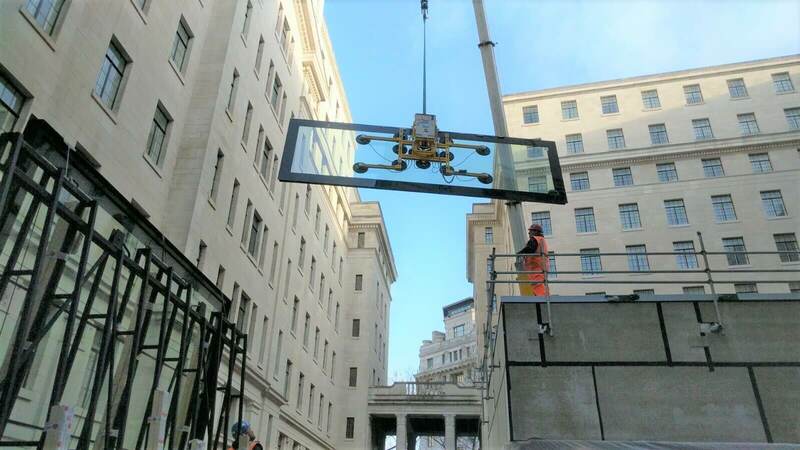 Access for the crane was via an ornate wrought iron gate with a distance of 100mm clearance on each side, with the glass coming via a separate entrance. 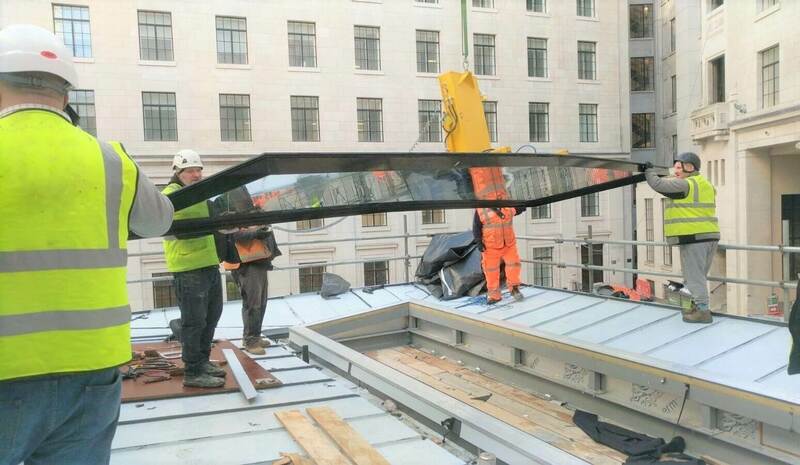 Once the glass panels were lifted clear of the transport, they were maneuvered into position and rotated to be lowered into the prepared frames. The full lifting process was planned and executed by Vacuum and Crane Ltd, Including planning for all of the equipment used, which was specified by one of our highly experienced appointed persons after completing the site survey. The AC35L Mobile Crane which was used had a main boom length of 37 metres, a hook block with a SWL of 15te and an outrigger base of 6m x 5.9m, meaning that this crane was perfect for the project. 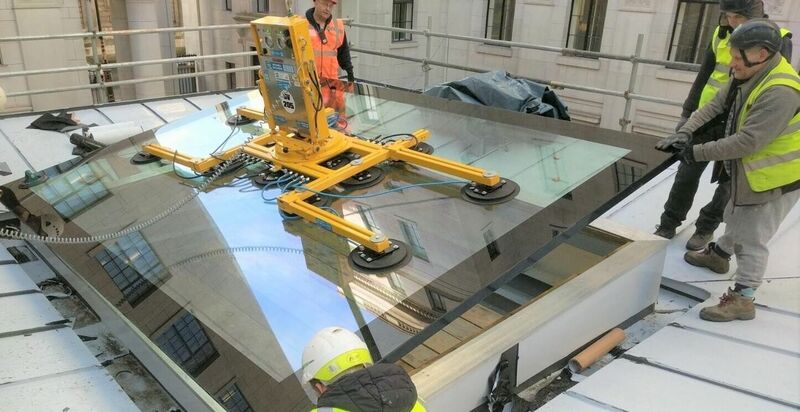 We also utilised the Hydraulica 1000 glass vacuum lifter which boasts an impressive lifting capacity of up to 1000kg which was required to install the substantially large glass units. The vacuum lifter also includes extension arms and a ten pad panel which provides flexible lifting and powered tilting which is useful for material handling, as well as a low vacuum alert for added safety measures. Need someone to arrange the lifting project for you? 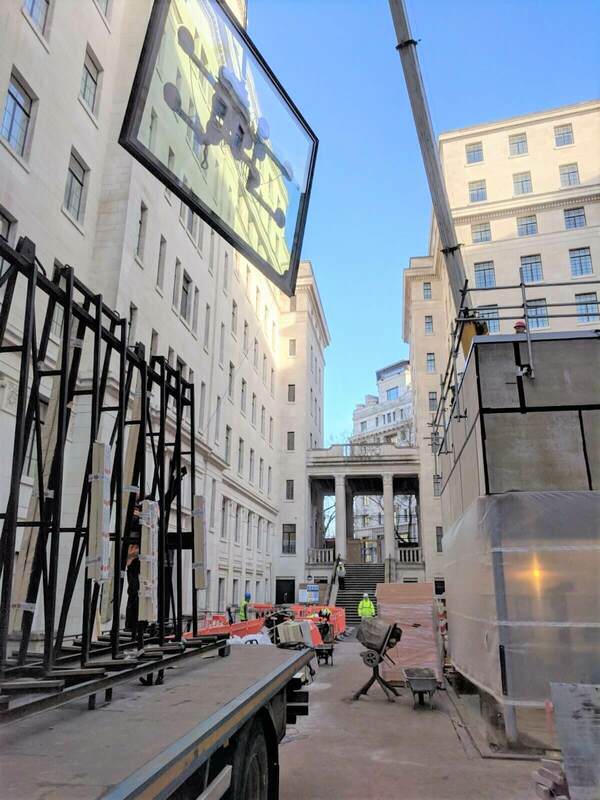 We can offer you complete peace of mind with our full contract lift service which eases the pressure for you on site and relieves you of the responsibility of preparing a crane lift. This is a tailor-made package where our trained and experienced personnel manage the whole lifting process from initial concept right through to supervising the final lift.